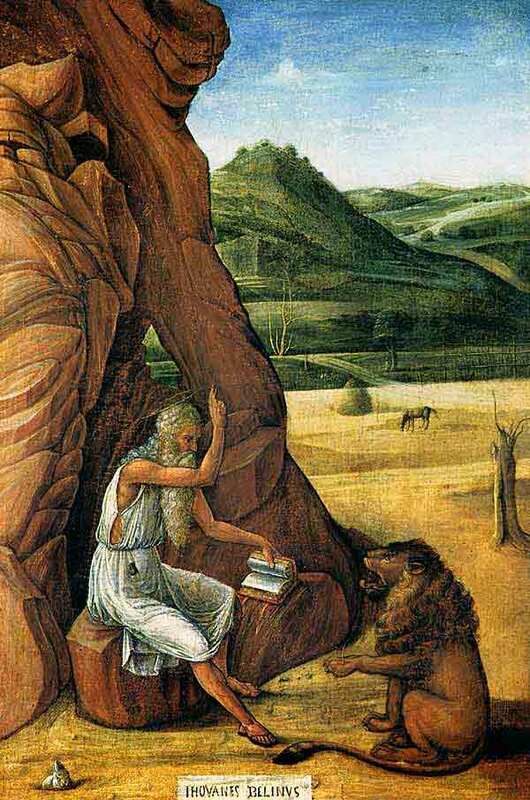 'Hieronymus in der Wüste' (Hieronymus - St. Jerome - in the Desert) is the name of this painting on wood by the Italian painter Giovanni Bellini (1430-1516). The work dates from 1460 and is now in the collection of the University of Birmingham / The Barber Institute of Fine Arts. 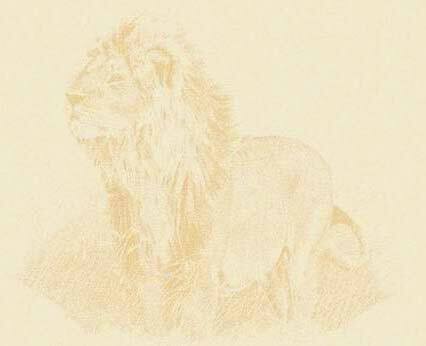 Guess what Jerome is saying to the lion. 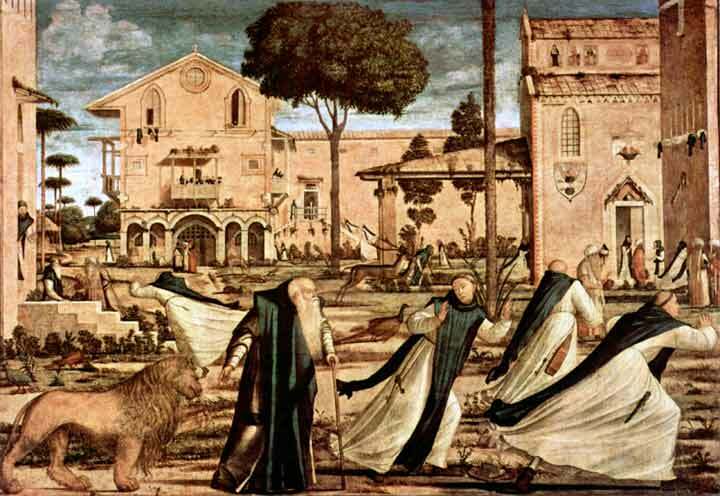 When Jerome and his lion visited a monastery, then happened what is seen on the painting below, by Vittore Carpaccio (1465/67-1525/26). The painting, dating from 1502, is part of a cyclus in the Chapel of the Scuola di San Giorgio degli Schiavoi, where it can still be seen.